April | 2012 | Professional Use Only, No Warranty. Sorry for the brief hiatus. Sometimes life does not want to co-operate. Just wanted to let our readers know we are back and have acquired some new gear during our time away! 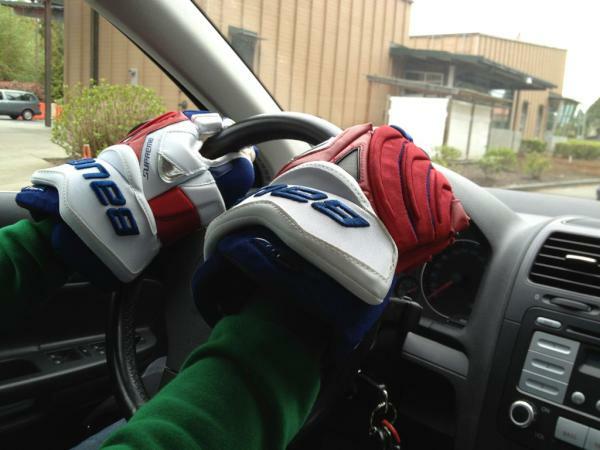 – M just picked up a new pair of Pro Return Rangers ONE95 mitts and decided to celebrate the Rangers win by wearing them around town today. What do you guys think of them? You are currently browsing the Professional Use Only, No Warranty. blog archives for April, 2012.